kromekat.com » Concept becomes reality!? Yesterday, Apple finally announced the iPad tablet that people have been speculating about for several years. I have created a number of concepts based on the rumors and conjecture, amongst them is this one I created for MacFormat magazine back in March/April 09. I just struck me as very close to the new iPad with keyboard dock!!? Even more so, the iPad can connect to the Apple Wireless Keyboard. 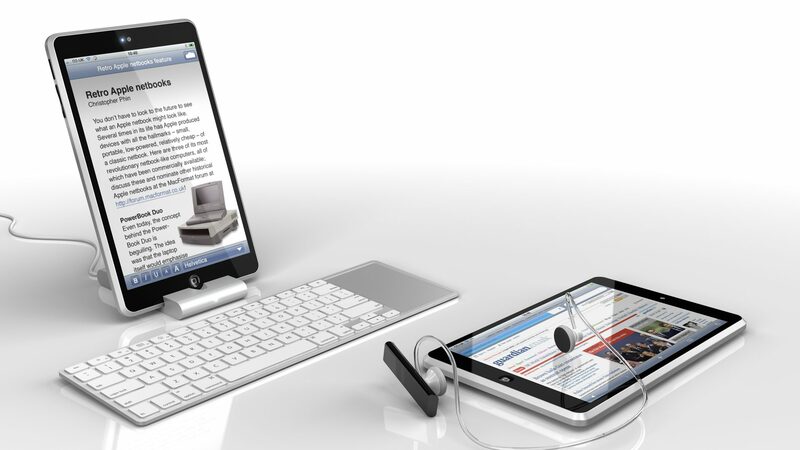 So using the standard portrait dock + wireless keyboard = pretty damn close to your concept. Good job adam. I think you did it better than apple by adding a camera which could be used for conferencing. I am sure they will add that at some point. What would be cool instead of another device is a way to connect your iPhone (or other smart phone) to a larger screen. It would clip to the back or something. The problem here is that all this is a bigger iphone. The larger screen is needed but not much else. 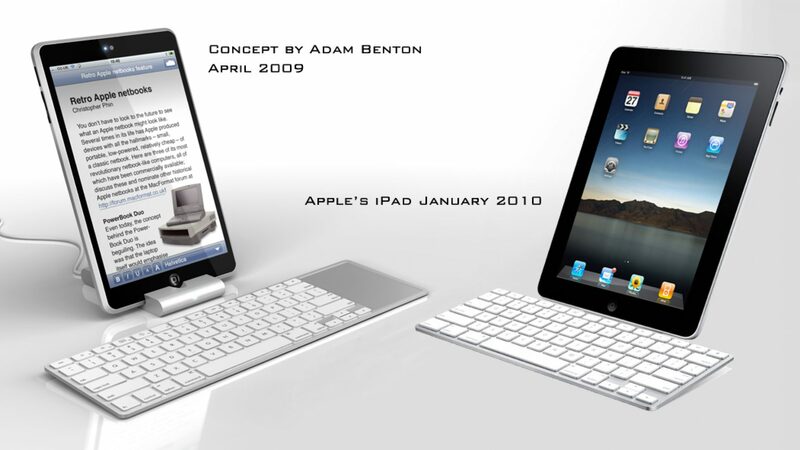 Adam, you have just showed that you are a master of concept design, which you have proven to me what I was hoping for, a rather large iPhone, with a keyboard dock. That what you did was extremely awesome. In fact, I have already ordered one off the online Apple store itself. Your estimate was remarkably accurate! That’s pretty impressive.